Let’s make sure the Hermitage stays warm this winter! There’s a two-day Garden Party this month for that purpose, plus the regular half-day retreat and events at Portland Friends of the Dhamma. Please join us for any or all of the events! It’s Time to Saw, Split and Stack! 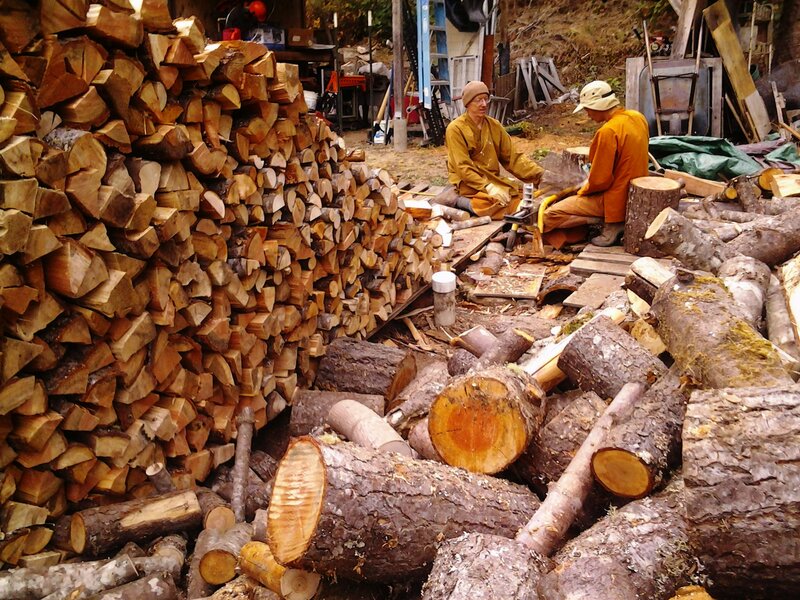 The Hermitage uses a wood stove as its main source of heat, so each year we help the monks lay in a big stack of wood for the colder months. If you’d like to help, please come to one or both days of our Saturday/Sunday Garden Party to re-supply the wood pile and help with some yard work. You can choose to come for just some or all of each work party (1 – 3 PM). The Tea Party each day starts at about 3 PM. If these dates don’t work for you, but you’d like to help split or stack wood, please email the Hermitage to set up a time to come over. We’ll have the power splitter for a while. There’s also a meal offering each day before the work begins. If you’d like to bring food, please arrive by 10:30 AM, and let the meal dana coordinator know that you’re coming. Thanks! Join Ajahns Sudanto and Karunadhammo at Yoga Samadhi in White Salmon, WA, for a quiet afternoon of walking and sitting meditation, and brief reflections. This event is free and no experience is needed. Cushions and chairs will be available. Ajahns Sudanto and Karunadhammo will be leaving October 18 for the Abhayagiri Kathina. A lay community member will host the October 18, 6:30 pm meditation at Yoga Samadhi. 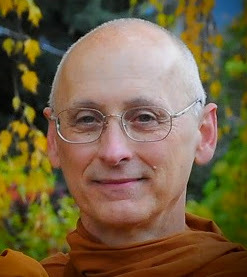 Ajahn Sudanto will return in time for the October 25 meditation and dhamma talk at Yoga Samadhi. Thank You for Visiting, Ajahn Karunadhammo! A warm thanks to Ajahn Karunadhammo for being a very welcome presence at the Hermitage these past several months. Your wise and kind presence, inspiring Dhamma talks and support for Ajahn Sudanto have been much appreciated. Next PostNext 2016 Pah Bah Samakkee: Anumodana, ขอบคุณ, ຂອບໃຈ, ឣរគុណ, cám ơn, Thank You!